Sports centre Saturday is a daily blogging prompt used by many genealogy bloggers to help them post content on their sites, talk about family members’ love of sports or athletic endeavours. Barbara Dale Snape is my wife’s 3rd cousin 1x removed. 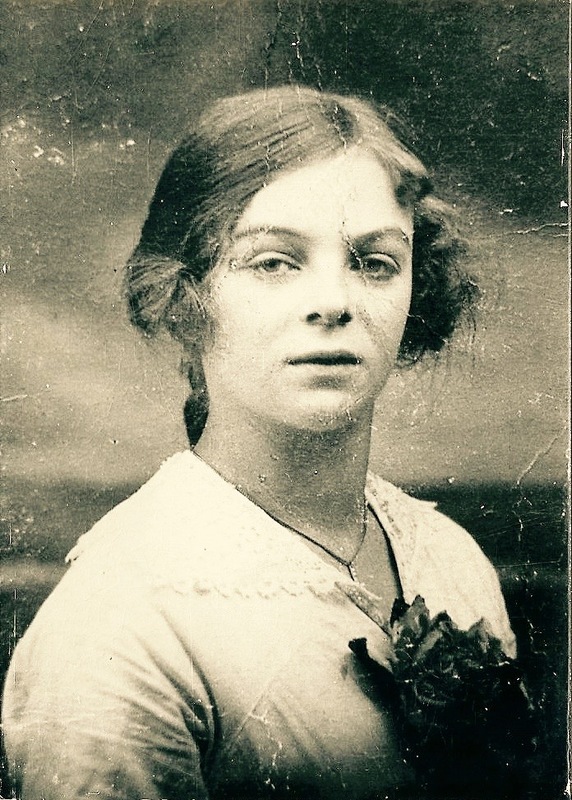 Their common ancestor is Martha Espley, my wife’s 2x great grandmother. Barbra was born in Leeds, West Yorkshire on 24 December 1919 to parents Frank Snape and Susan Dale. I recently found the following article from the Yorkshire Post and Leeds Intelligencer of 2 March 1942. Cambridge beat Oxford by three lengths in the inter-University women’s boat race at Oxford on Saturday. A Leeds student and former head girl of the Allerton High School, Barbara D Snape, was a member of the winning eight. It was the second time she had shared in the success against Oxford, for she stroked the London University women’s crew which defeated Oxford last year. She graduated at Westfield College (evacuated to Oxford) and is now training for the Diploma of education at Cambridge. There will be another post about Barbara in a few days. Ernest Dawson is my 3rd cousin 2x removed. He was born in Cowling, West Yorkshire on 26 February 1896. Ernest is my only Dawson ancestor I have found so far with a connection to sports activity. 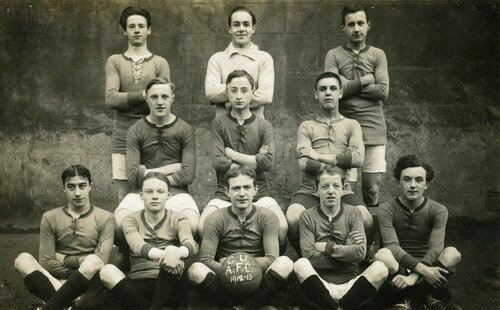 This is a photograph of the Cowling Football Team from 1912-13 and reproduced with permission of Cowling Web. As far as I can tell Ernest is the young man on the left of the middle row. Team football in Cowling began in 1910 when Cowling United was formed. The team first played at Hallam Hill, then on top of Earl’s Crag and Knowle Hill before moving to their present ground on Keighley Road. There was a break in playing during the First World War. The team then reformed in 1918 in the Craven League. One legendary story from those early days suggests that the team had a very unusual cup double – playing and winning two cup finals on the same day. In 1920 young lads who couldn’t get a game formed another team Cowling Swifts. They first played on the recreation ground and then on the present pitch. The Swift players became the nucleus of the good Cowling sides of the 1920’s and 1930’s. The club is still going strong after more than 100 years.